This is a 1912 ad for a O.A. Miller Treeing Machine! The size of the ad is approximately 6.5x10inches. 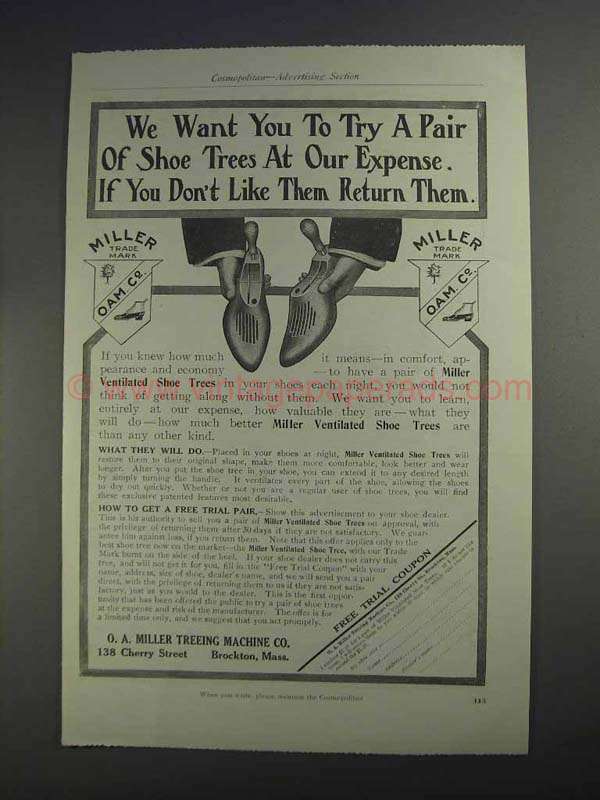 The caption for this ad is 'We want you to try a pair of shoe trees at our expense. If you don't like them Return Them' The ad is in great condition. This vintage ad would look great framed and displayed! Add it to your collection today!